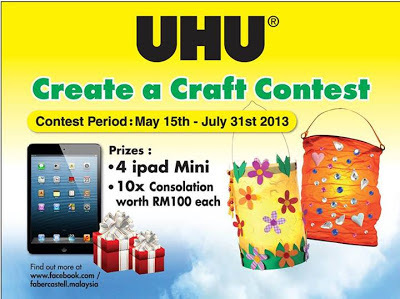 Spend a minimum RM10 of UHU solvent free products. Keep the receipt as proof of purchase. 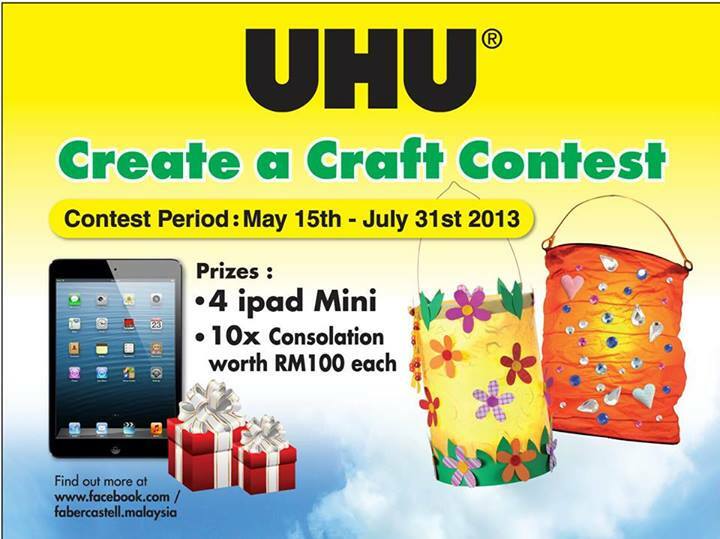 Upload your creative craft photo & copy of receipt and enter your details in Faber-Castell Facebook apps. Visit Faber-Castell Facebook fan page for more details.